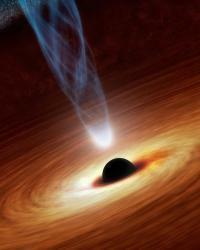 Loop quantum gravity suggests that there may be a chance for long-lived black holes to explode out into white holes. Artist concept, NASA PIA16695; NASA/JPL-Caltech. Physicists have sought a quantum theory of gravity since Einstein established the founding principles in 1905 and 1915. Whilst quantum mechanics describes the small world of particles, in the cosmological regime, general relativity has repeatedly given us accurate predictions, recently with the measurement of gravitational waves. Why, then, seek to merge these theories? Historically, unification has led to revolution: Newton unified gravity and mechanics, laying the foundations of modern physics; Maxwell unified electricity and magnetism transforming our understanding of light. It is known that our two current theories cannot describe the early universe or even black holes appropriately so the hope is that unification will again lead to startling results. String theory has long dominated the search for a solution, but its predicted supersymmetric particles are still missing. My Studentship enables me to work in Marseille with Professor Carlo Rovelli on an alternative approach, known as “loop quantum gravity” (LQG). LQG starts with general relativity’s description of the universe as a malleable and compressible space-time, and quantises it. When we quantise light, a picture of discrete particulate photons emerges; the same procedure applied to general relativity yields particulate spacetime. This is the difference between a ball pit and a pool: far away they may look the same, but on closer inspection the water is continuous, whilst the ball pit is made of individual balls. LQG says that our universe, which seems continuous, is really tiny chunks of quantum spacetime! One prediction that has tentatively emerged is that the universe can only be compressed down to the Planck length, around 10^-35; any less than this length makes no physical sense. The implication is that just as a star compressed enough will exert an outward pressure and explode, so will any so-called singularity. This impliesthat the universe never had a Big Bang, but rather a Quantum Bounce and black holes may in fact explode into “white holes”, spitting out all their matter and not allowing anything to enter. 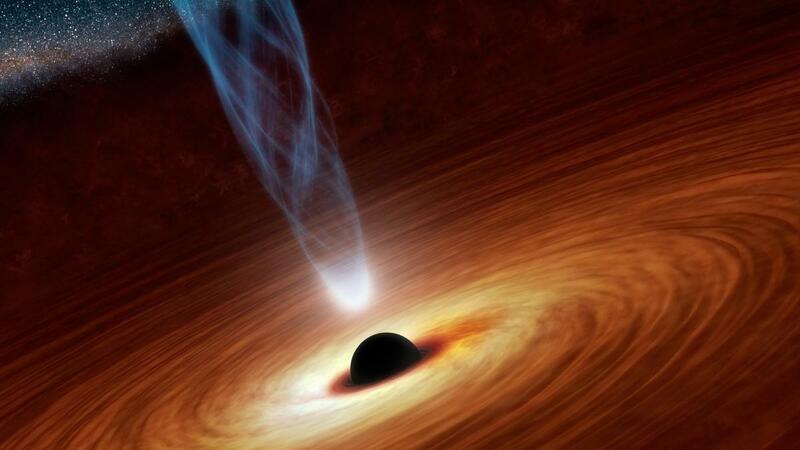 Computing how long this white hole transition may take will be the focus of the work done in Marseille. This idea may provide a first empirical test for LQG, and perhaps answer the astronomical problem of so-called fast radio bursts (short unexplained energy pulses). These hypotheses suggest that the world we know once collapsed, causing complete destruction bouncing back out to its current state. If true, then the universe will exist, and has existed, forever. Our luck is to live at a time stable enough to breed life able to understand this.